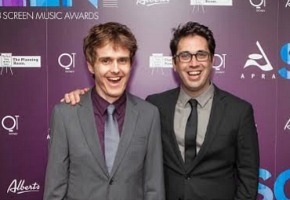 ABC dramas dominated the TV winners at the 2013 Screen Music Award at the Sydney State Theatre, last night. Hosted by The Chaser’s Andrew Hansen and Chris Taylor, the event presented by APRA AMCOS and the AGSC, saw awards go to The Doctor Blake Mysteries, Redfern Now and The Mystery of a Hansom Cab. thousands of hours of music including scores for Survivor, Medical Emergency, Better Homes and Gardens, Mythbusters and Border Security. Christopher Elves has won the Children’s Music category no less than four times.